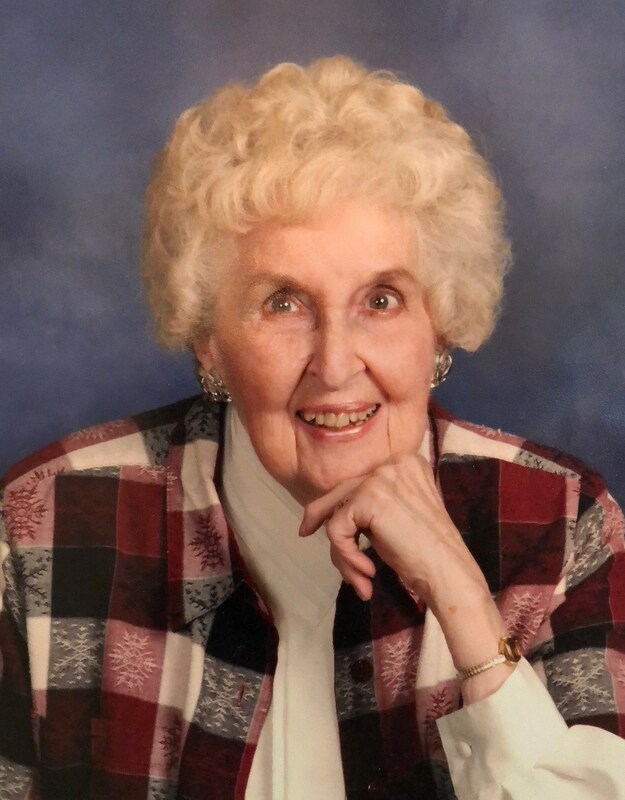 RUPERT---Alice Lucille (Lucy) Knos, 91, of Rupert, Idaho, passed away at the Autumn Haven Assisted Living facility on Wednesday, September 12, 2018 of complications from a stroke. Lucy was born in Strawberry Point, Iowa, to William Arthur and Mattie Alice (Leinbaugh) Luse on March 9, 1927. She graduated from Strawberry Point High School in 1944. On August 19, 1945, she married the love of her life, Duane Knos, when he returned from serving in World War II. They met at a high school music competition when she was 13 years old. They had celebrated 71 years of marriage when he died in 2017. Following their marriage, Duane and Lucy attended college at Upper Iowa University in Fayette, Iowa. Lucy majored in music and she taught music in LaPorte City, Iowa for one year. She was a stay-at-home mom while her daughters were growing up and then she did secretarial work in a variety of settings. She and Duane moved to Rupert from Massachusetts in 1986 along with their daughter and son-in-law's family and helped open the Stockroom shoe store. Lucy worked in the store for Jeff and Barbara for several years. Music played a huge part in Lucy's life. She sang in a trio with two of her sisters when she was young, and she sang in church choirs wherever she lived. She and Duane sang solos and duets throughout their life together in church and at weddings and funerals, blessing everyone who heard them. They were introduced to Barbershop music in the 1960's and Lucy sang in choruses and quartets for most of her life. One quartet, The AquaTones, earned second place in international competition before one member moved away causing them to disband. She also used her musical talents to direct a children's choir and multiple Sweet Adeline choruses, to coach several barbershop quartets, to arrange barbershop music for both choruses and quartets, and to play in the bell choir at her church. Lucy was a member of the Rupert United Methodist Church serving on committees, in the Deborah Circle, as the Superintendent of the Sunday School, and directing several Christmas programs and fun style shows. Lucy loved to laugh and she made every production lots of fun. She and Duane loved serving on the Wilson Theatre Ball committee for several years and she was a member of P.E.O. Lucy is survived by her daughters, Nanette (John) Eilers and Barbara Feroce both of Rupert, seven grandchildren, 24 great grandchildren and 2 great-great grandchildren, one sister, Janice Farnum, one brother, Sylvan Luse, and numerous nephews and nieces. She was preceded in death by her husband, Duane Knos, a baby son, Gary, her parents, five brothers, three sisters, and her son-in-law, Jeff Feroce. Funeral Services will be held 10:00 a.m. Saturday, September 22, 2018 at The Rupert United Methodist Church. Viewing for family and friends will be held from 6:00 to 8:00 p.m. Friday, September 21, 2018 at the Mortuary. Services will conclude with burial in the Rupert Cemetery under the direction of Joel Heward Hansen Mortuary. On-line condolences may be left at hansen-mortuary.com. The family suggests that memorials be given to the Senior Center/Meals on Wheels or the Rupert United Methodist Church. The family wants to thank the wonderful staff at Autumn Haven for their kind and loving care of both Lucy and Duane, Harrison's Hope hospice, for their wonderful support at a very difficult time, and to Dr. Kerry Saurey and his staff who also provided loving care to Lucy and Duane for many years.